Sony reorganizing the structure of its regional companies. 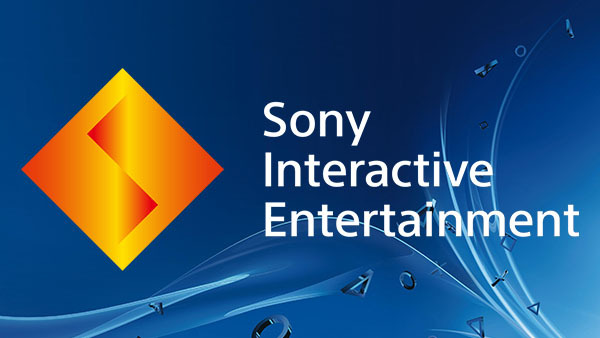 Sony Interactive Entertainment has announced that it will change its organizational structure as of April 1 to further reinforce its business and operational strength. Get the full press release below. Sony Interactive Entertainment (SIE) today announced that it will change its organizational structure effective April 1, 2018, to further reinforce its business and operational strength to continue to spearhead and remain the leader in the constantly evolving business environment. As PlayStation continues to bring together more customers around the world than ever before, meeting the needs of the globally connected PlayStation 4 community, while also responding to specific requirements in each regional market is an increasingly important priority. In order for SIE to remain competitive and deliver on its commitment to make PlayStation the Best Place to Play, it will reorganize the structure of its regional companies. Effective April 1, sales and marketing divisions that currently exist within Sony Interactive Entertainment America (SIEA, Responsible for PlayStation business sales and marketing in Americas), Sony Interactive Entertainment Europe (SIEE, Responsible for PlayStation business sales and marketing in Europe) and Sony Interactive Entertainment Japan Asia (SIEJA, Division company of Sony Interactive Entertainment Inc., responsible for PlayStation business sales and marketing in Japan and Asia) will report directly to Jim Ryan, Deputy President and Head of Global Sales and Marketing, SIE. In order to ensure coordination between organizations and support functions that are overseen locally, John Kodera, President and CEO, SIE, and Jim Ryan will assume the role of executive in charge of regions, Kodera with responsibility for Americas and Japan Asia and Ryan for Europe. Current SIEJA President Atsushi Morita will report directly to Kodera to support management of cross-functional activities for the Japan Asia markets. Increasingly, the value of interactive entertainment is differentiated by the broad spectrum and depth of experiences that it provides to customers. As such, SIE’s mission to create and develop the most attractive and powerful first party titles has become more important than ever. To fulfill this purpose, also effective April 1, Shawn Layden, current Chairman of Worldwide Studios (WWS) and SIEA President, will concentrate his focus on WWS continuing to provide platform-defining content that helps drive the growth of SIE. Additionally, in the global functions, Phil Rosenberg (Currently Senior Vice President of Business Development and Publisher & Developer Relations at SIEA) has been appointed Head of Global Publisher and Developer Relations as of January 2018, and Hideaki Nishino (Currently Senior Vice President of Product Strategy & Management and Corporate Strategy at SIE) will assume the role of Head of Platform Planning and Management effective April 1.